I'm just going to come right out and say it: I love the O'Brien family! From the minute we met Killian's siblings in Once Pure I was hoping they'd all get books and then when Cecy Robson announced the O'Brien series and gave us Curran's story in Once Kissed I wanted to cheer. If you've read those previous books you'll already have met the youngest O'Brien, Finn, and you'll probably already know what happened to him as a child. Because of that his older siblings are all very protective of him but he is holding a lot of anger deep inside and none of the others are quite sure how to deal with it. Finn's anger fuels him in the cage and it's helping him build a name for himself as a top MMA fighter but his siblings are worried that he's bottling up his emotions and that it's going to end in disaster if he doesn't find a way to release it safely. When Finn gets into trouble for fighting outside the cage he is forced into court mandated therapy and it is there that he bumps into long term family friend Sol. Sol is working as an intern while she qualifies for her masters in psychology and she has more than enough on her plate dealing with her mentally unstable mother so the last thing she needs is a boyfriend no matter how hot she's always found Finn. She knows that it isn't a good idea for two damaged people to get involved with each other but Finn isn't easy to resist and she finds herself desperately wanting to help him. 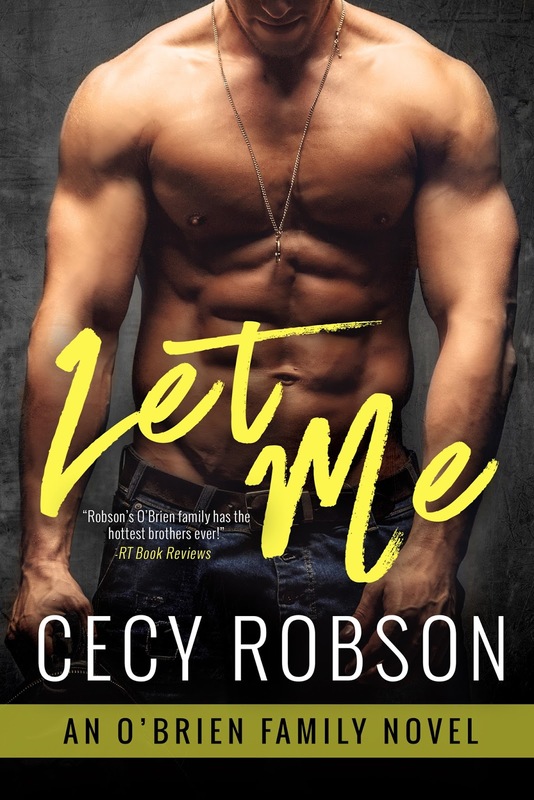 Cecy Robson isn't afraid to tackle difficult issues in her novels, we've already seen her deal with domestic violence sensitively and here she gives us a glimpse into the long lasting effects of child abuse and mental illness. These aren't easy subjects to talk about and are often things that are brushed under the carpet but Cecy gives a brutally honest portrayal of how badly they can affect the people involved. Finn has always suppressed what happened to him, he refuses to talk about it and tries so hard to be strong but it has a massive impact on every area of his life and he's going to have to face up to it if he wants any chance of moving forward and finding happiness. Sol's issues are very different but they affect her just as badly and she's not in a great place either but they both find comfort in each others arms. It's not enough to love each other though, they have to be brave enough to tackle things that they've spent years trying to hide and that's not going to be easy for either of them. I love this couple, they fit together brilliantly and the banter between them was great, the attraction between them is also intense but beyond that they are able to open up to each other in ways that they've never been able to do with anyone else in the past. Finn in particular broke my heart, no child should have to suffer through what he did but I was so incredibly proud of the way he dealt with things in the long term. It took a lot of work to get there but thanks to the support that both Sol and his family gave him he was finally able to face up to what had happened to him. Sol's story was also heart wrenching, the relationship she had with her mother was painful to watch and Sol put a lot of pressure on herself to try and fix something that was basically unfixable. These two don't have it easy to start with but that just makes their happy ending even more perfect and I had such a huge smile on my face when they finally figured out how to deal with their issues. Of course we also get to see plenty of the other O'Brien siblings too, both the ones who have already found their HEA and the ones who are still happily single. There is definitely something going on with Wren that has me a little worried about her so I'm really hoping that we get to read her story next but no matter which sibling steps up to the plate this series is a must buy for me.